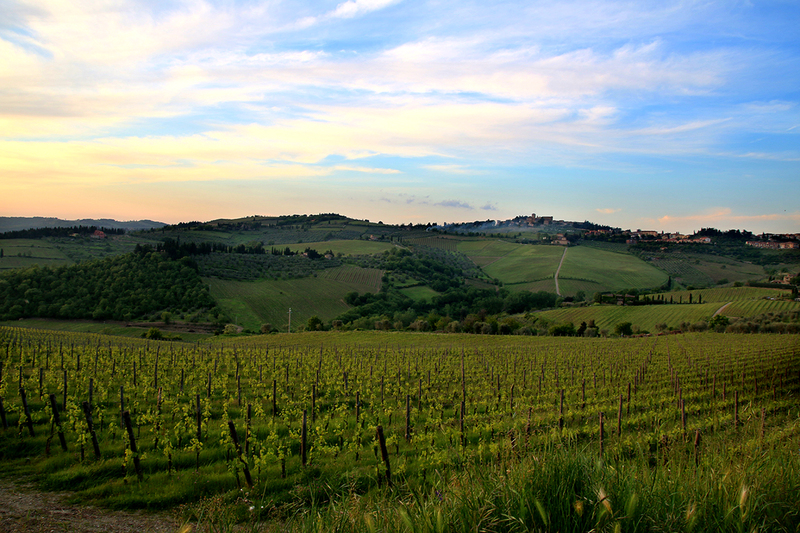 After tasting Brunello in Montalcino, it’s off to the picturesque Chianti region. For a true Italian wine experience, my family and I opt to stay in a Tuscan villa in the heart of a vineyard at Villa S Andrea. It has everything one would expect in a classic Italian villa: terracotta floors, wood beam ceilings, wood burning fireplace and big rustic shutters to cover the windows. A step back in time for us. In the morning as I take in the never ending view of grapevines and olive groves, I meet the neighbours. 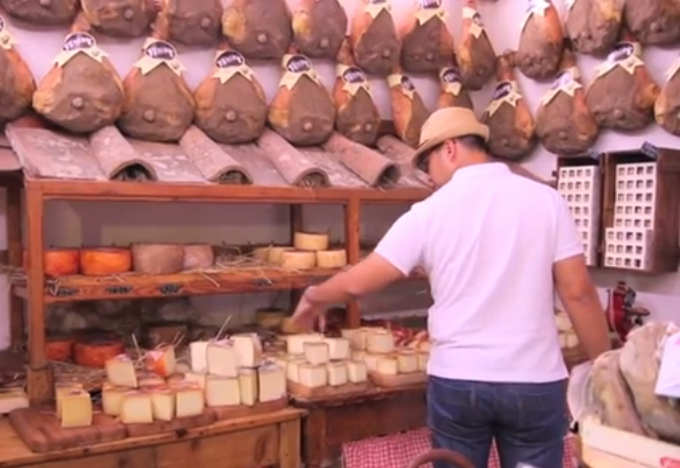 A retired Australian couple spending a month eating and drinking their way through Italy. Definitely the life I dream to have and luckily on some days do. We share stories on which wineries to visit and which winding roads to avoid. 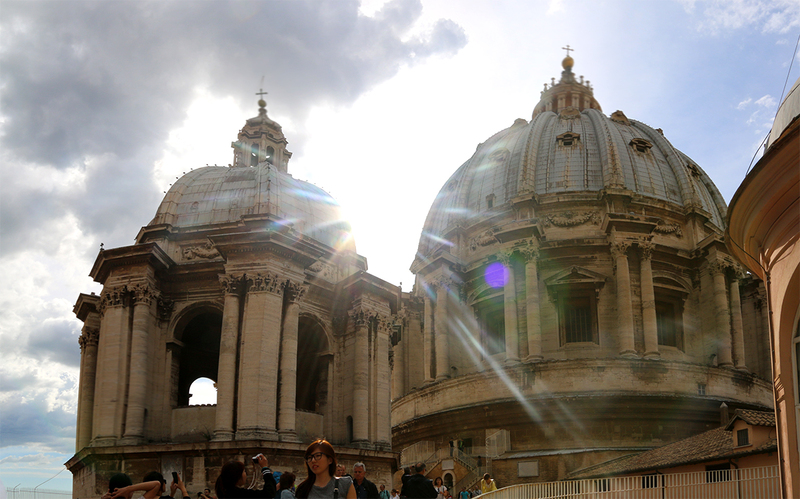 We all agree Italy is an unforgettable country. After breakfast we meet again at our villa’s winery for a tour. Our guide is a small Italian lady with exaggerated expressions. Her arm movements are like aerobics exercises and her facial expressions would allow her to tell a story without words. She has a talent for story telling that has us hanging on every word as she explains the different characters of the wine and the production process. 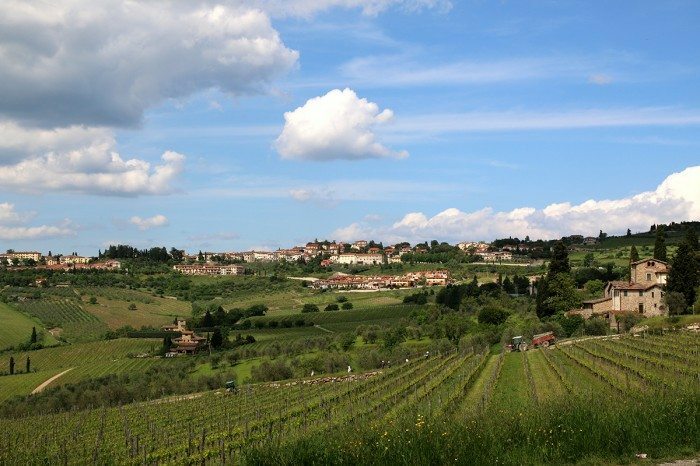 We find out what it takes to produce a wine that can be labelled as a Chianti Classico. A vigorous process that must be followed strictly to qualify. At the end, we taste the house’s variety. Starting with a Toscana Rosso, followed by a Chianti Classico and finish with a Chianti Classico Reserve. It’s always a treat to start with a good wine, only to find out it gets better as you go along. To accompany our early morning tasting (this seems to be a recurring theme for us) a basket of bread is drenched with olive oil. When I say drenched, I mean almost a quarter of a bottle poured out creating a once fluffy bread that is now heavy with oil. A bite into it and the idea of a low fat diet seems absurd. Maybe this is the way bread should be enjoyed. Especially when the olive oil is this good. It has a smooth taste that makes it so obvious that the olive oil I’m used to is completely inferior. It’s one of those moments when you realise how good quality olive oil tastes, followed by the realisation that you will never be able to settle with the cheapest extra virgin olive oil at the grocery store again. Darn. 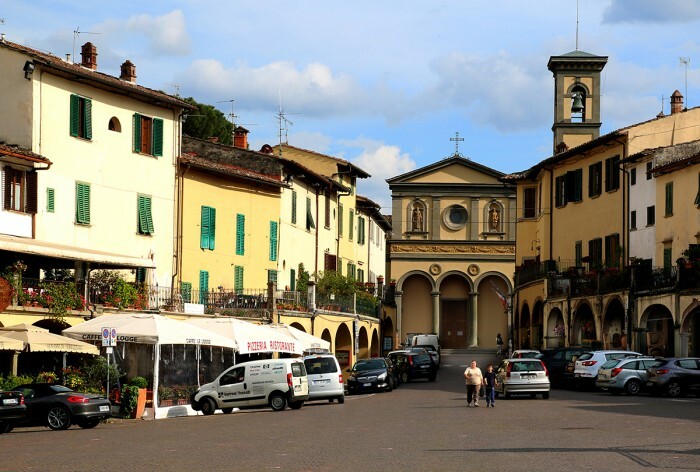 For lunch, our family of 4 heads to Chianti’s main town of Greve. The downtown square has everything one would hope to find in a small Italian town. A gelato and coffee shop, a bakery selling cornetto (Italian pastry), and the ultimate salami, cheese and wine shop Falorni. 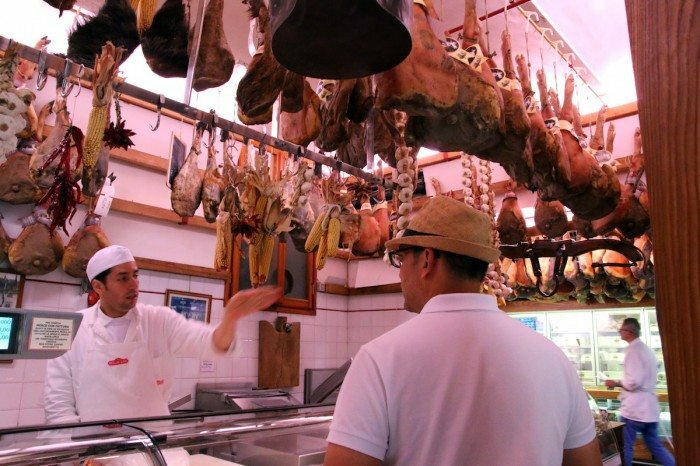 This place is what tourists to Italy dream about and vegetarians have nightmares about. The meat section is clearly identified by the unfathomable number of pig legs hanging from the ceiling that are legs of cured meat. The next room we step into is where the liquid magic happens. A high-tech sampling system of several refrigerated wine dispensers cover almost all of the walls. We purchase a pre-paid card and are handed 2 wine glasses. As we walk around, we can choose which wine we want and if we’d like a sample, a small glass or a full serving. 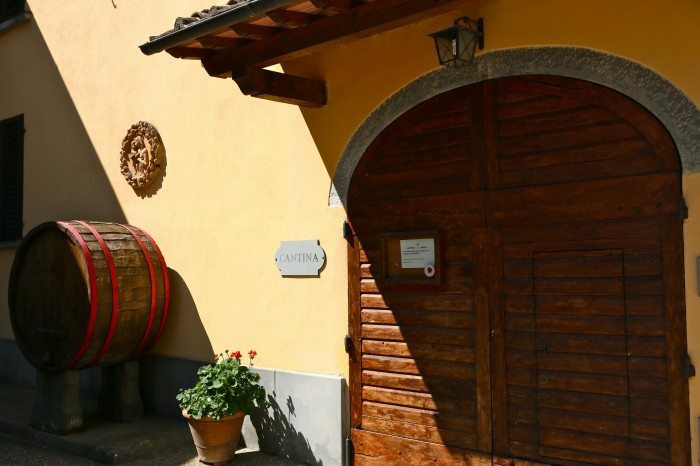 They carry a large selection of wine from around Tuscany and beyond including, red, white and bubbly. As we sit in the square with wine, cheese and meat, our idea of a perfect Tuscan afternoon has just begun. We stayed in Villa S. Andrea which is around 30 minutes from Greve and just down the street from the most stunning winery we’ve ever seen: Antinori Chianti Classico. Getting around by car is mandatory, so make sure you enlist a designated driver or drink responsibly. Dotted throughout Chianti are a seemingly never ending number of wineries including Castello di Verrazzano, a winery set in a castle and even Sting has his own winery which we unfortunately did not have time to visit. Day trips to/from Florence and and Siena are possible.